If your dog is having seizures you may be worried about not knowing what to do or where to find help. 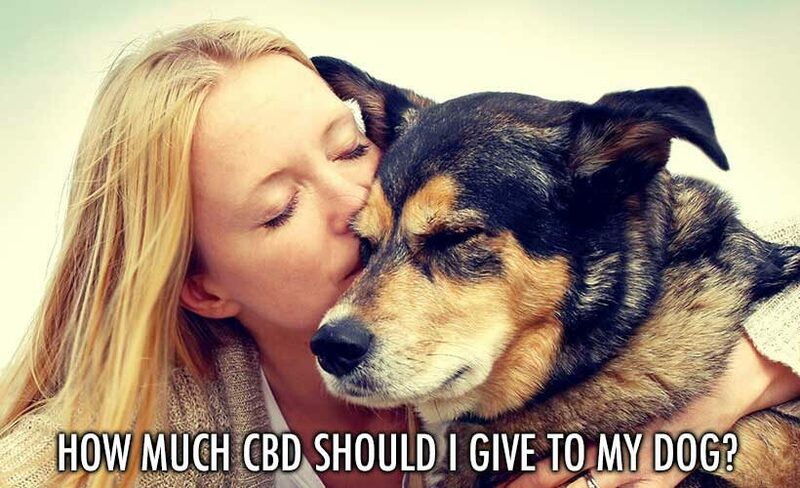 The good news is that there are many things you can do to help including giving your dog CBD. Finding the best CBD for dogs with Epilepsy can be tricky with so many options out there. 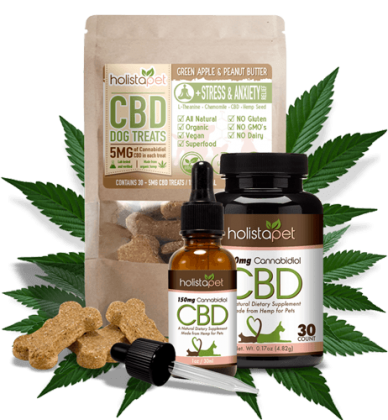 That’s why we formulated HolistaPet – The Best CBD For Dogs with Epilepsy made specifically for epileptic animals. Before you can treat your pet’s seizures you must first fully understand them. Seizures are not usually life-or may be suffering from underlying diseases. This is why it is important to take your dog to a vet if it does experience a seizure. Treatment for seizures in dogs usually begins with attempting to identify that cause or the trigger of the seizure. If it is an ongoing issue, medications may be prescribed. Many medications will have side-effects and they are not always effective. This is why some dog owners will prefer to use CBD for dogs with Epilepsy. If you have a dog with Epilepsy, here are a few things you should know about what the causes seizures. You should also know the side effects of alternative drugs, and the use of CBD. Knowing these things will determine whether using CBD for dogs with Epilepsy is right for you. Dogs with seizures are said to be suffering from epilepsy, which is a sudden burst of abnormal brain activity that temporarily causes the dog to lose control of its body. The underlying cause of epilepsy in dogs with seizures can be genetic abnormalities, exposure to toxins, diseases of the dog’s blood or internal organs, or trauma. Quite often, the root cause of seizures in dogs cannot be identified, in which case the seizures will be called idiopathic. 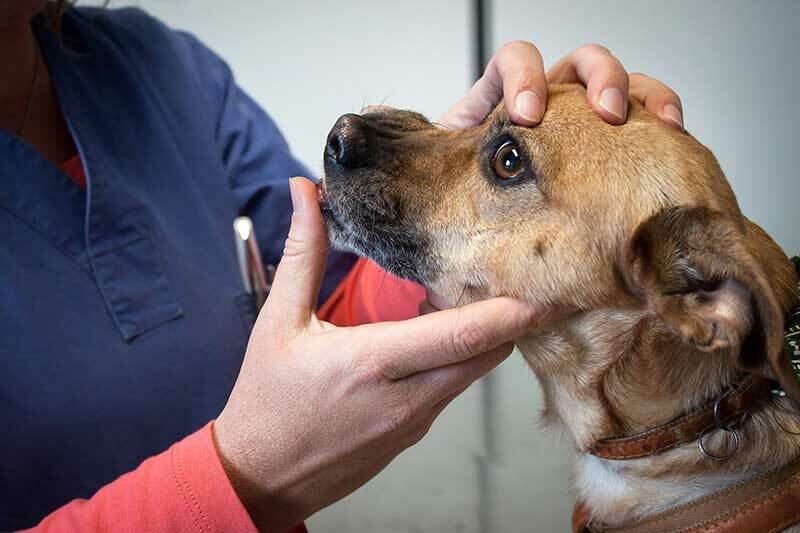 The first thing that a vet will do in the treatment of a dog with seizures is to try to identify what triggered the episode because if it was environmental factors that caused the seizure, steps can be taken to reduce the risk of it happening again. The list of potential triggers, however, is very long so linking an episode to a specific trigger can often be difficult. 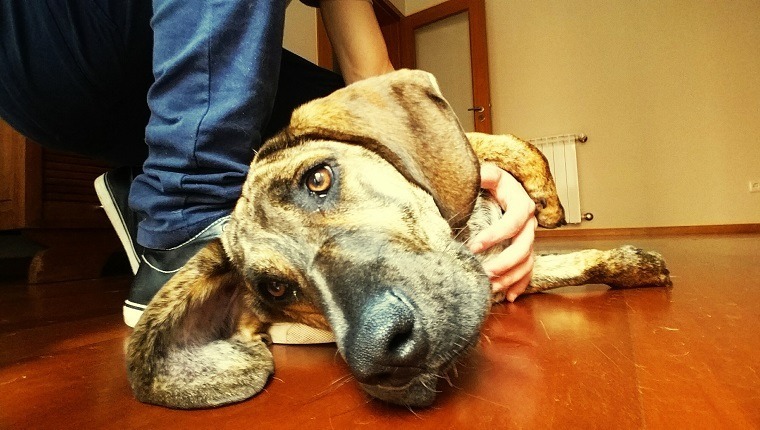 Stress can be a trigger for dogs with seizures. The stress could be a result of a change in routine, getting over-excited, or even a visit to the vet. Some medications are also known to be triggers for epilepsy in dogs, including flea and tick treatments and some prescription medications. Outside in the yard, fertilizers, lawn treatments, and other chemicals have been known to trigger seizures. In the home, cigarette smoke, perfumed products, products that contain pine oil, and paint fumes have been identified as triggers for dogs with seizures. Certain foods, including caffeine, moldy cheese, and saffron and sage have also been linked to epilepsy in dogs. When a dog has a seizure it can be extremely sad to witness. The dog is likely to fall over on its side, its body may become stiff, and it will probably chomp its jaw and froth at the mouth. Because a dog with seizures has lost control of its body it may also lose control of its bladder and bowels and is likely it will urinate or defecate. If your dog does have a seizure it is best not to move the dog at all unless is in a dangerous position where the uncontrolled muscle spasms may cause the dog to harm itself. Unfortunately, there is little that you can do to help your dog until the seizure has run its course which it will usually be in about 30-90 seconds. You can try to comfort your dog during a seizure, but you will need to be careful to keep your hands away from your pet’s jaws, because the convulsions may make your dog’s jaws clamp shut, causing your pet to inadvertently bite you. On a purely practical note, if a dog with seizures is experiencing an episode indoors, you might also want to put some towels down on the floor, in case your dog defecates or urinates. A seizure in its itself is not usually life-threatening to a dog, but the underlying causes or the trigger for the seizure does need to be identified, so a dog with seizures should always be taken to a vet. Unless the seizure lasted more than five minutes, though, or there have been repeated seizures in a short period of time, emergency care is not usually needed. Immediately after a seizure, a dog will appear confused and dazed. This period, which is called the post-ictal phase, can last for anything from a few, minutes to a few hours. The dog is likely to look like they have been sedated. All the senses may appear to be dull, the dog’s reactions will be sluggish, and many dogs with seizures experience temporary blindness after an episode. During this period it is important to supervise a dog to ensure that it doesn’t hurt itself. Your pet is going to feel frightened and disorientated so some comforting will be needed. Supervising the dog immediately after a seizure is also important because another seizure may occur although this is not always the case. Although seizures in dogs can be very frightening for a pet owner to witness, it is believed that a dog with seizures does not experience any pain. A brief seizure that lasts for no more than a few minutes is not considered life-threatening, but it could be a symptom of a more dangerous underlying issue. If the seizure lasts for more than five minutes, however, which is called status epilepticus. This now becomes a serious potentially life-threatening episode that will require immediate treatment. 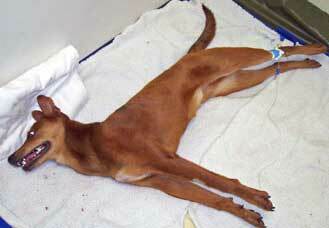 If this does occur an emergency vet will administer intravenous anticonvulsants to halt the seizure. This may cause the dog to suffer brain damage or die. If a dog with seizures experiences two or more episodes in quick succession that too could be life-threatening. If this occurs please seek emergency veterinarian assistance straight away. If a dog is susceptible to seizures then a vet may prescribe medication to control the episodes. One of the most common medications is phenobarbital. Despite the fact that many dogs with seizures are prescribed phenobarbital it only works on 60 to 80 percent of dogs. Phenobarbital is known to have some unpleasant side-effects. It is also not suitable for use with dogs that have liver disease. Phenobarbital is a depressant that works by decreasing the activity of the central nervous system. The side effects that it can cause include drowsiness, loss of balance, nausea and constipation. You will also have to monitor the levels of phenobarbital in the blood of your dog. If the levels get too high, it can cause a severe toxic reaction. In many cases phenobarbital alone will not be enough to control seizures in dogs so other drugs may also be prescribed. Today there is more and more mounting evidence supporting the use of CBD for dogs with Epilepsy. In fact, pressure from pet owners calls for medicinal cannabis to be legalized where it is prohibited. CBD or cannabidiol should not be confused with marijuana. Although CBD is extracted from the hemp plant, it is not psychoactive. This means that it doesn’t have the same mind altering effects as marijuana, specifically THC does. CBD has a stimulating effect on the endocannabinoid system (ECS). The ECS is a regulatory system in the body. It helps to control our immune response, mood, appetite, memory, metabolism, inflammation, anxiety and more. The EC system affects many biological processes including the immune system, the internal organs and the central nervous system. It’s believed that is this effect that can provide relief from seizures and epilepsy. Medical research is still ongoing into the use of CBD for dogs with Epilepsy, but it has been shown to be an effective, non-toxic remedy for dogs with seizures. In one survey of pet owners, up to 95% of all respondents endorsed the benefit of CBD for dog seizures. It’s important to work with your vet to discover the reason for your dog’s seizures. It could be a symptom of serious underlying medical issues but in many cases, the seizures will just need managing. Can you please advise the dosage for a 48 kg French Mastiff with epilepsy? He has 1-2 Back to back seizures once a week. Does the oil need to be taken daily in smaller amounts or a few tunes a week? Does it help to administer the oil immediately after the seizure as well? Hello Ashley. We generally recommend 2-5mg for every 10lbs of body weight to be taken daily. Hope that helps! I have a Maltise/Poodle mix,she has cluster seizures about every 8or 9days.She has been on phebarbital and Zoniferide with not much success.We weened her off of phenobarbital and now give her Bromine and levetiracetam but she still seizes.Will cod help and how much,she ways 11 pounds. Hello Jeff, sorry to hear. Our customers are reporting good results using CBD oil for dogs with seizures and epilepsy. Start off with 2mg per every 10 lbs and slowly go up to 5mg per every 10 lbs. Hope this helps let us know your results share with us here!